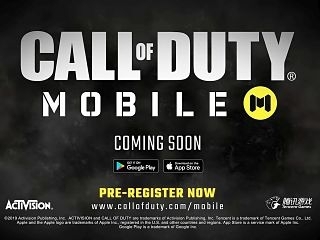 One of three upcoming releases part of the franchise, ‘Call of Duty: Mobile’ has been officially announced. A trailer has also been unveiled for the game published by Activision. At the 2019 Game Developers Conference, ‘Call of Duty: Mobile’ was introduced. Currently being developed by a studio called Timi, it is expected to be released later this year. Preregistration for the game is already available on the official website, with public beta to be offered to early birds. Despite being a game only available to play on portable devices, ‘Call of Duty: Mobile’ is expected to retain several aspects from the original title. Furthermore, maps as well as modes such as Nuketown, Crash as well as Free for All, Team Deathmatch and Frontline will be included. Launched in 2003 for Microsoft Windows, the game has been a worldwide hit. At first focusing on World War II storylines, the franchise got more popular with its third chapter called ‘Modern Warfare’ taking place in year 2011. Other sub series include ‘Ghosts’ and ‘Black Ops’. Other shooters such as ‘PUBG’ as well as ‘Fortnite’ have encountered massive success with their mobile versions. So, ‘Call of Duty: Mobile’ did not really come as a surprise. Other games that were intended for mobile devices only include ‘Black Ops – Zombies’ and ‘Zombies’.